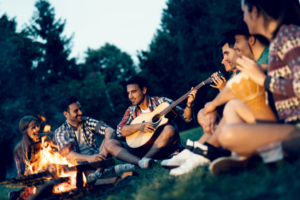 Do you have a group of friends you’d like to get together with for a weekend? Perhaps a school reunion? Fishing trip with the guys? Girls weekend away from the guys? Footprints is the answer! 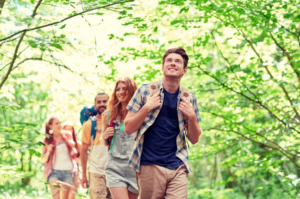 Time to get outside and breath some fresh air? Craving some outdoor adventure with a majestic view? There is so much to do at and near Footprints!! Have the children grown up and moved away? We know you miss them!! 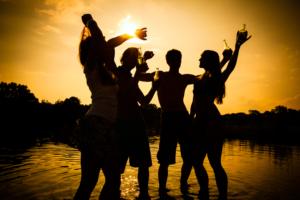 Why not create a memorable Adult Family Vacation and make memories that will last a lifetime!! Looking for a vacation destination where you can rekindle the flame? Tired of the same old family friendly vacation options? Our romantic, Adults Only 21+ boutique Resort is the answer! Are you planning a small, intimate wedding and looking for just the right location? Dreaming of a Destination Wedding but flying to another country isn’t the right option for your guests? Why not have your wedding at Footprints! Planning a business meeting, corporate retreat or work gathering and looking for something a little different? Footprints can take care of your professional needs and offers an exceptional, relaxing atmosphere where your staff or management team can stay focused without the usual distractions of life. Check out how Footprints can work for you! Planning a vacation? Need a chance to relax, catch your breath and break away from the daily grind? Or perhaps you want to escape with your significant other, rekindle that old flame and take time for yourselves? Introducing…. 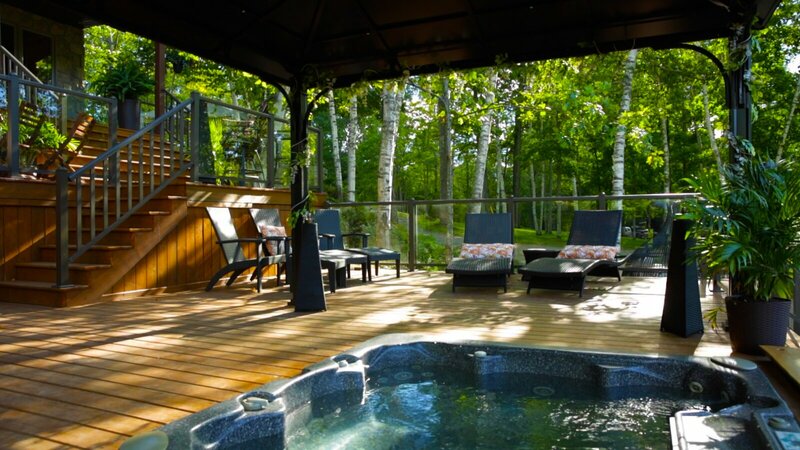 Footprints Resort, an Ontario vacation destination like no other! We are a private, Adults Only resort, providing a relaxing getaway in a pristine, natural setting where time stands still. Our private grounds provide a beautiful setting for you to slow down and connect with nature. By day, enjoy our pristine, natural, child-free setting where you can relax in the dappled shade, sunbath on our private, sandy beach or enjoy the non-motorized watersports on our private lake. Swim, hike, bike, or just daydream the day away. 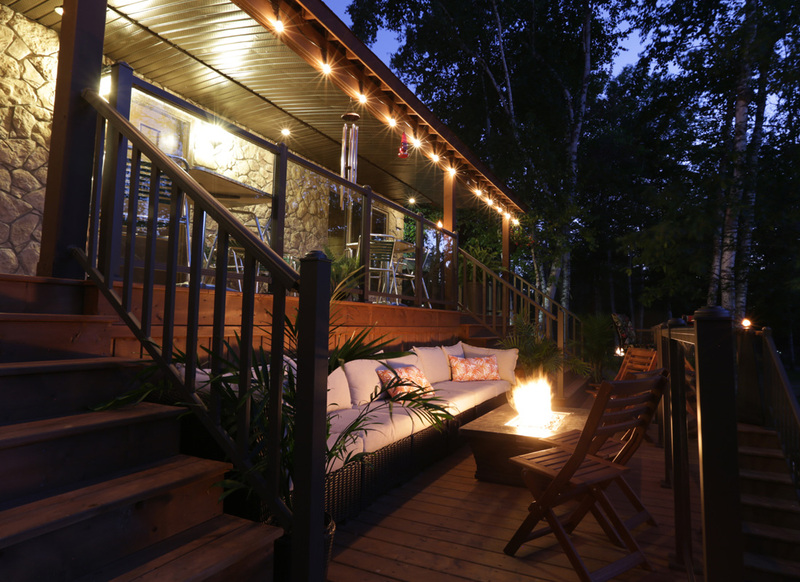 By night, party in the Cabana, sit by the fire or count the stars…. it’s all up to you! Please explore our resort! If you have any questions, or would like to make a booking, drop us a line! 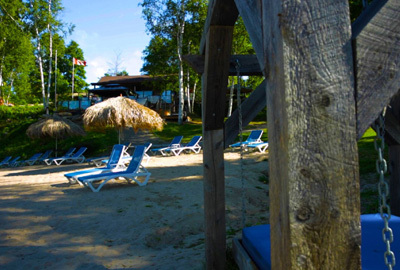 Welcome to Footprints Resort, a truly unique Ontario resort for adults only. 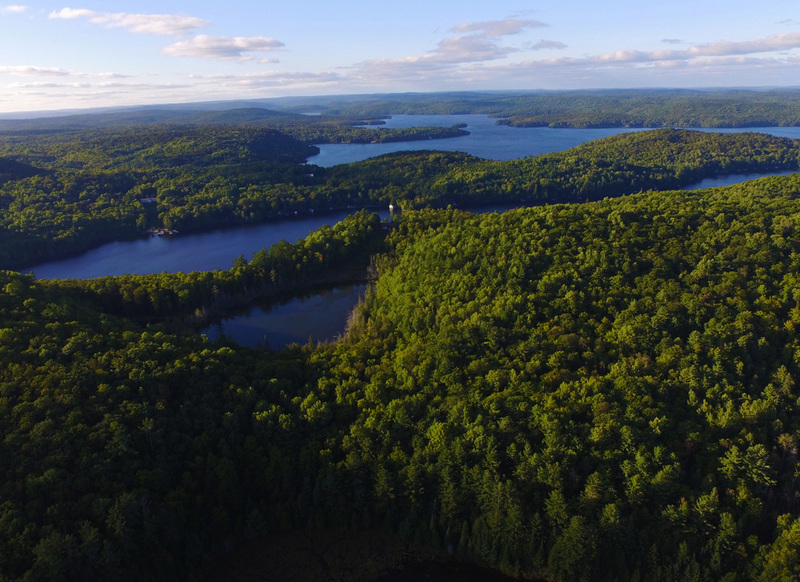 Nestled on our own private lake in a secluded location near Bancroft, Ontario, Footprints Resort is a peaceful and tranquil oasis, a world apart from the usual cottage country crowds, yet close to area attractions, shops, and activities. 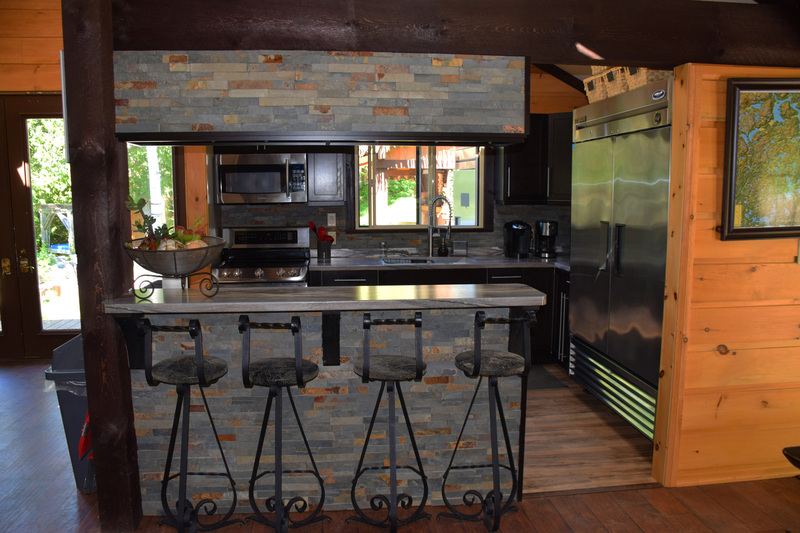 A hidden gem in cottage country, our Bancroft area resort for adults is the perfect place for couples and friends searching for a relaxing and peaceful vacation surrounded by nature. 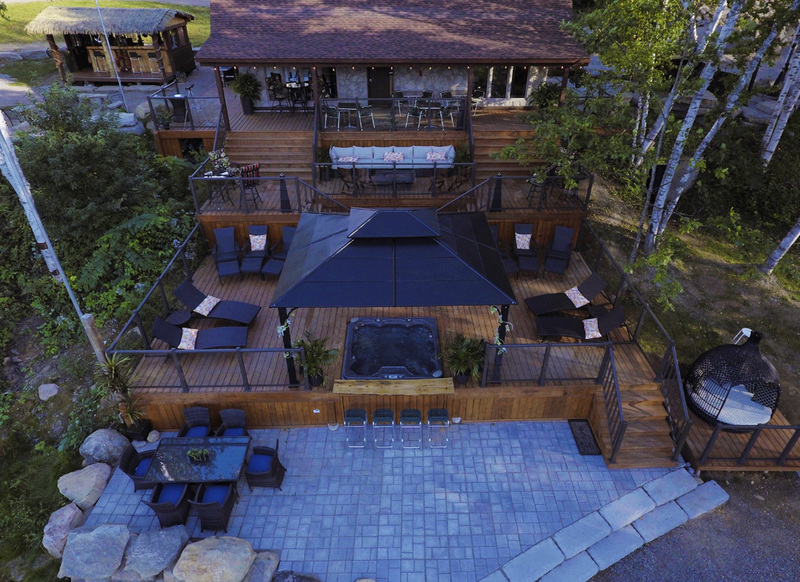 Not only is Footprints Resort the perfect Ontario adults-only resort for romantic couples getaways; it is also the ideal venue for reunions and special events such as weddings and anniversary celebrations. 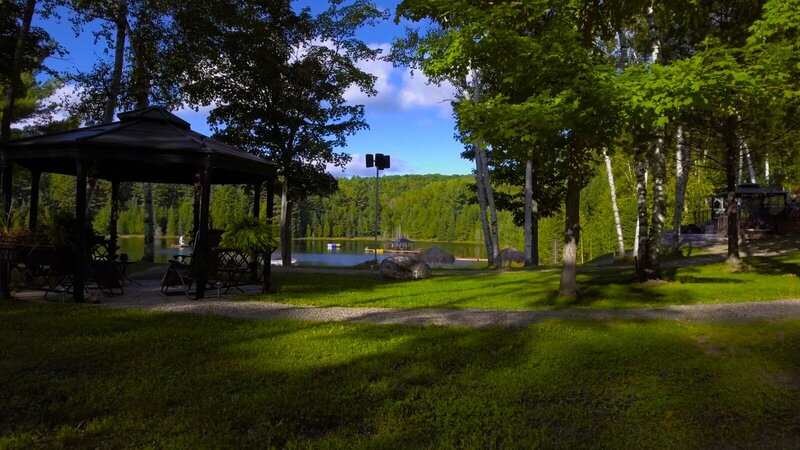 The picturesque natural setting of our Hasting Highlands resort provides a spectacular backdrop to hold a beautiful Ontario destination wedding. Imagine taking your vows by the water’s edge; on our private beach or on our massive dock, surrounded by family and friends. 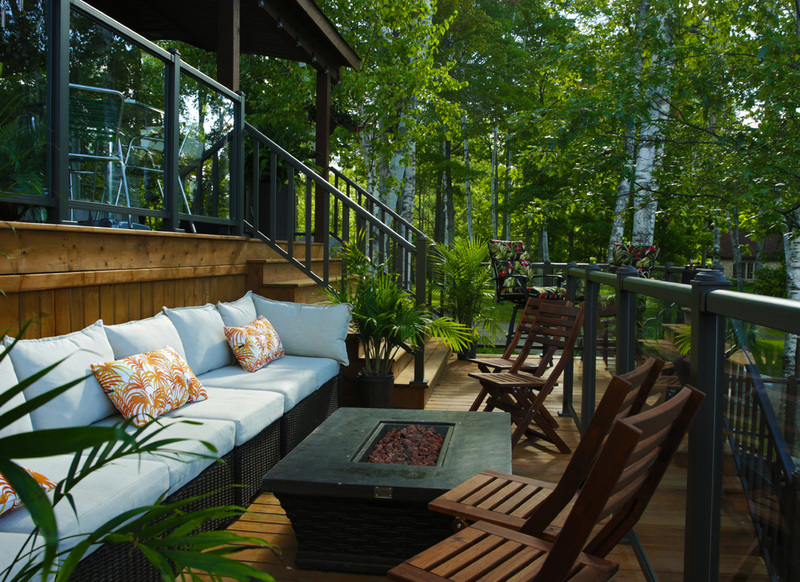 When you hold your wedding at Footprints Resort, your guests will thank you for the added bonus of a cottage country vacation, and you will be surprised at just how reasonable a resort wedding at Footprints can be. For any type of group event, our lounge and meeting rooms provide comfortable spaces for your guests to gather indoors. As well, we gave several outdoor areas; cabanas, patios and decks where your group can socialize el fresco. Footprints Resort has a variety of rooms and cabins to accommodation adult groups. 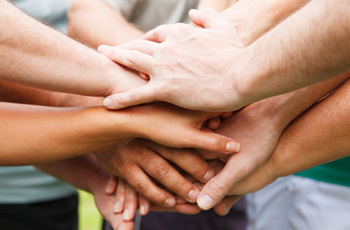 We would be happy to assist you with the arrangements of your group event at Footprints Resort, and be sure to ask how you group can have exclusive use of the resort.